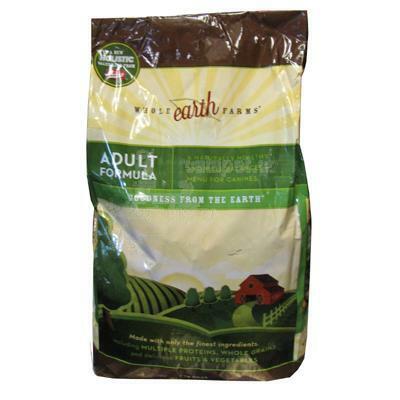 Whole Earth Farms® takes the best, healthy ingredients from the Earth and mixes them all into a delicious, daily meal. With multiple protein sources, vitamins and minerals, Whole Earth Farms® provides your dog with the best the Earth has to offer. Protein-rich buffalo, dried cranberries and blueberries and flavorful rosemary, sage and thyme are just a few of the nutritious ingredients you will find in Whole Earth Farms® three, age specific formulas. Your four-legged friend deserves the very best when it comes to nutrition, and Whole Earth Farms® is exactly that. We've mixed in as many nutritious ingredients as possible!